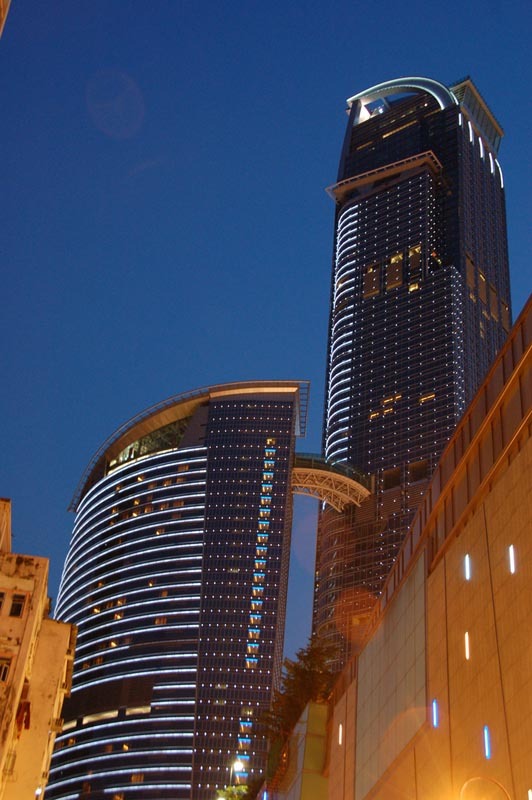 The Nina Tower Development consists of two towers. 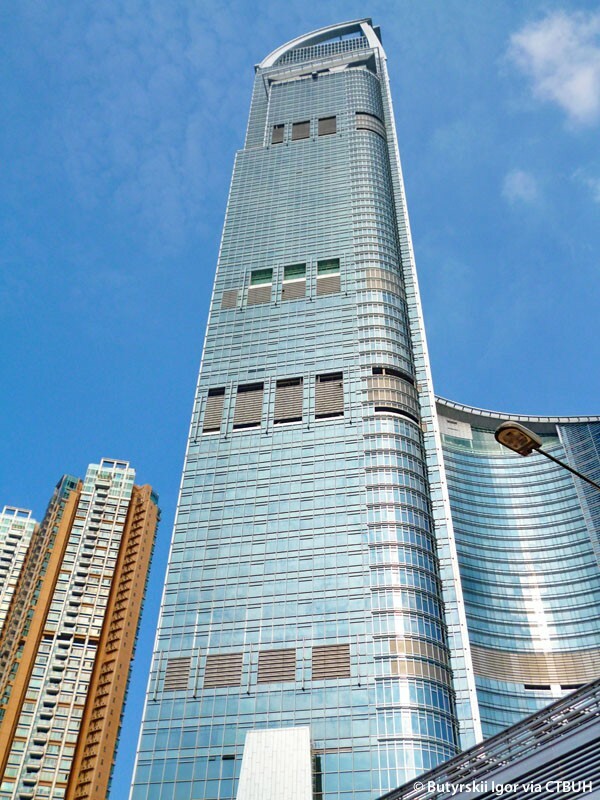 The taller of the two buildings, is nicknamed Teddy Tower, was originally intended to stand 200 meters (656 feet) higher than it does currently and would have been the tallest building in the world at the time of concept planning. 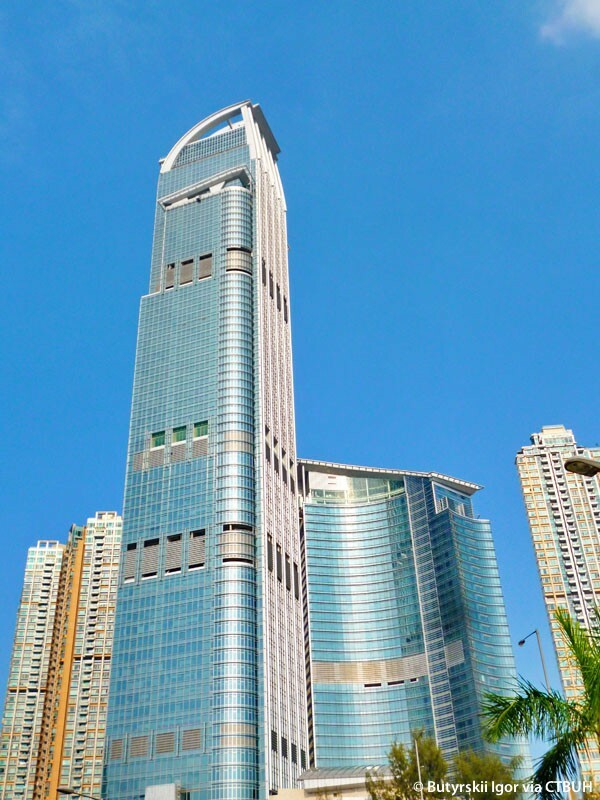 However, the height was restricted by the Government due to the proximity of the tower to the nearby Chek Lap Kok Airport. 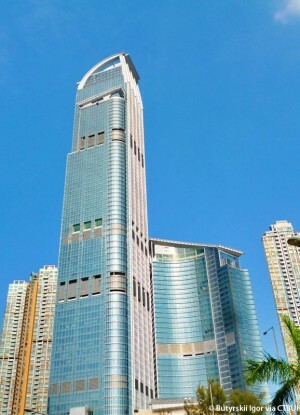 To stand against strong typhoons in Hong Kong, the Nina Tower is stabilized by two levels of steel outriggers. It acts together with a reinforced concrete core wall and perimeter composite columns. A post-tensioned concrete flat slab with perimeter beam makes up the floor structure. Tailor-made table system formwork for the floor, and climb form for the core wall were used and thus sped up the construction cycle. A shopping mall and exhibition spaces occupy the lower stories of the development, which is topped by 30 stories of offices in the Nina Tower. The smaller tower (dubbed L`Hotel Nina Tower) and the top 40 stories of the Nina Tower house a five-star hotel. 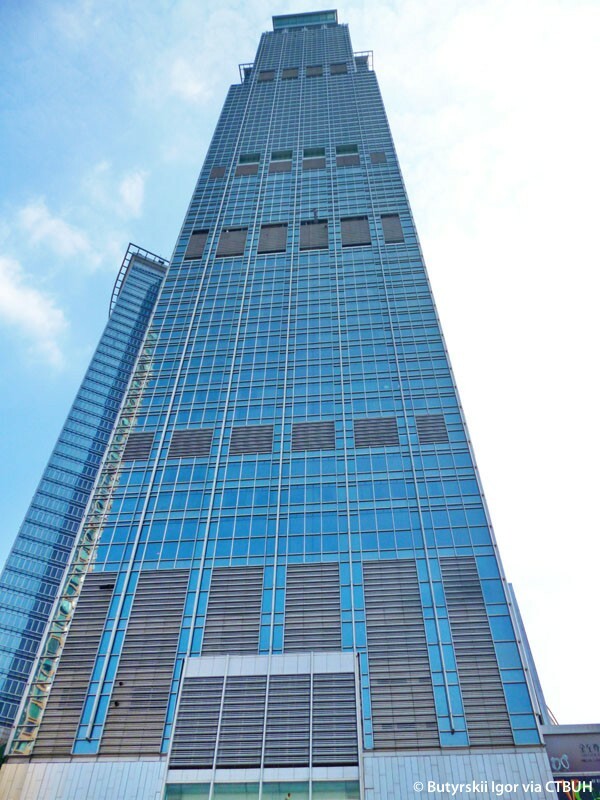 The two towers are connected by a Skybridge at the top of the shorter building. The Skybridge linking the two towers is curved in plan and the struc-ture comprises two 3-meter (10-foot)-deep triangular space trusses. 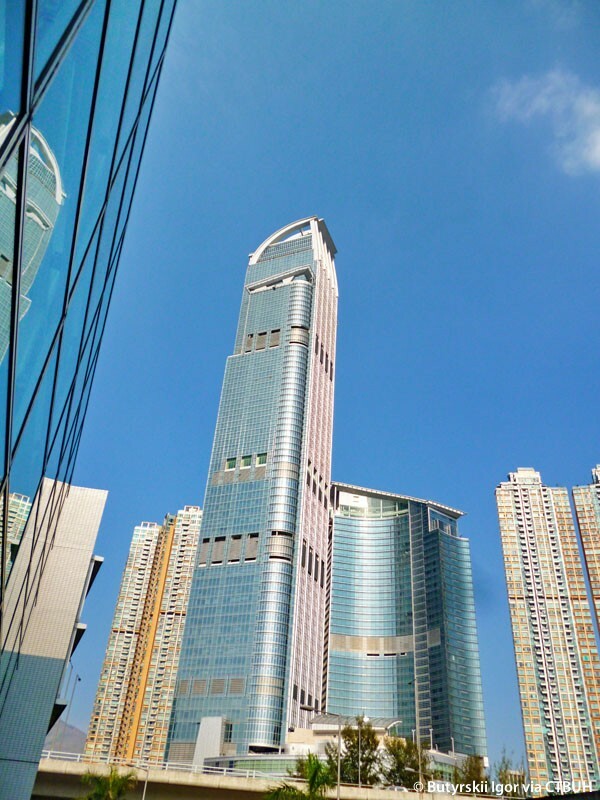 The Nina Tower Development plays an essential role in continuing to bring Hong Kong into a new era of modern architecture and development. It also serves to provide an exciting, state of the art destination for visitors and at the same time offers a magnificent office and hotel facility for local businesses.